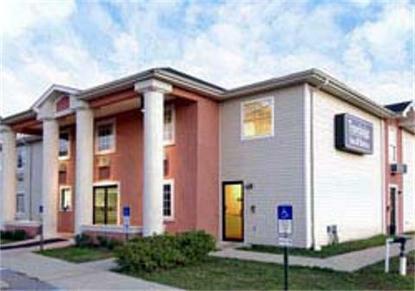 The interior corridor Travelodge Inn and Suites Pensacola is easily accessible off I-10 at Ex 10A. We are only 15 miles from NAS Pensacola- Home of the Blue Angels, 15 miles from the beaches, 5 miles from the Pensacola Airport and minutes from Pensacola Christian College as well as Pensacola Junior College.The Travelodge Inn and Suites Pensacola offers room accommodations to suit almost every need--from comfortable standard rooms to spacious executive suites with garden tubs. We offer our guests a complimentary continental breakfast, an outdoor pool, and BBQ/Picnic Area. Pets Welcomed - Daily Fees Apply. Hurricane Assessment Fee of 3.00 Plus State Tax Per Room Per Stay. Safe Charge of 1.50 Plus State Tax.TAKE ADVANTAGE OF OUR PENSACOLA SPECIAL. STAY 2 NIGHTS OR MORE AND GET AN EXTRA 10 PERCENT OFF. OFFER AVAILABLE UNTIL DEC 31ST, 2008.